The International Jewelry Show of Ruili, China Ninth China and Burma Baopo-carnival and second session of the Second International Jewelry Culture Festival is being held. The International Jewelry Show of Ruili, China Ninth China and Burma Baopo-carnival and second session of the Second International Jewelry Culture Festival began at Jiegao International Trade Convention and Exhibition Center on the morning of October 4. The current International Jewelry Show has total exhibition area of 4,000 square meters and more than 200 booths. 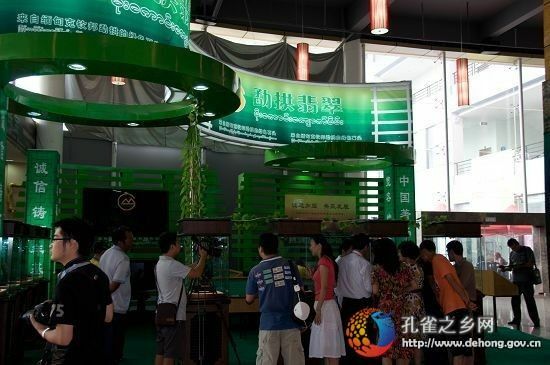 There are more than 200 jewelry enterprises from home and abroad to participate in this exhibition, displays jade, tree of jade, Huanglong jade and rubies, sapphires and other colored gemstones. 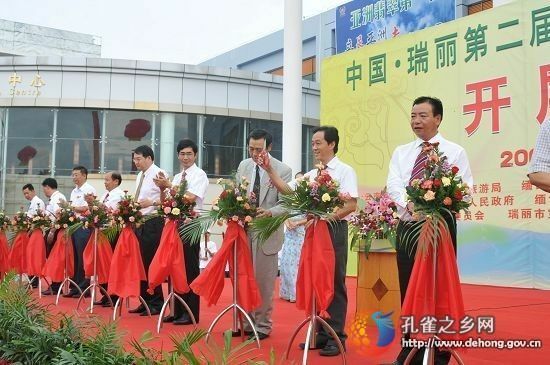 Ruili is the very place of "Chinese characteristic jewel and jade industry base" and "Chinese well-known jewelry distribution center". This show provides a platform and opportunities for exchanges and cooperation of home and abroad jewelry enterprises. 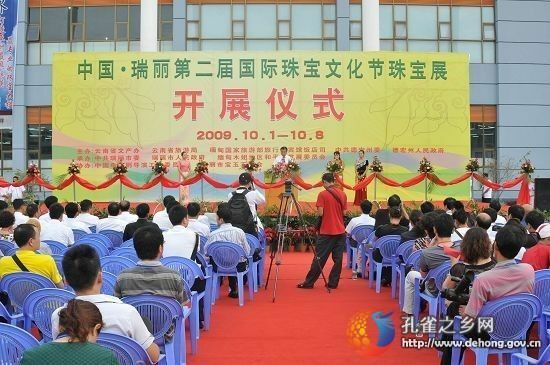 It is both a focus appearance of brand jewelry enterprises in a socially oriented and a achievement exhibition of development of Dehong jewelry cultural industry. 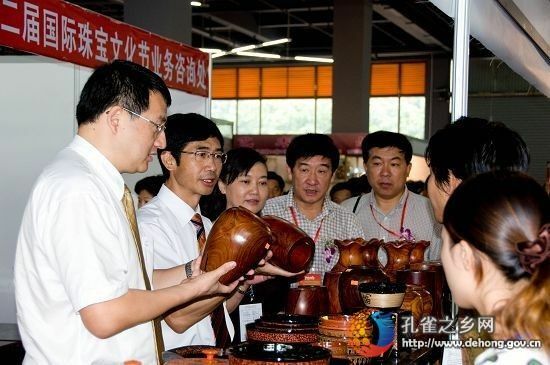 Guests participating in the festival and the Secretary of Dehong Prefecture CPC Committee Zhaojin are visiting the Jewelry Show. A corner of the Jewelry Show Hall.